Different times require different strategies and innovations to compete in an ever-changing mortgage-lending world. In 2016, many lenders and mortgage companies turned to automated technology to help them better compete. Most of them, however, still are not using that technology to its full potential. The push for finding more efficient ways to acquire and process loans has led many originators to embrace marketing strategies that help generate higher quality leads. By targeting past borrowers, referral partners, friends and family, originators can get them to raise their hands when the time is right. 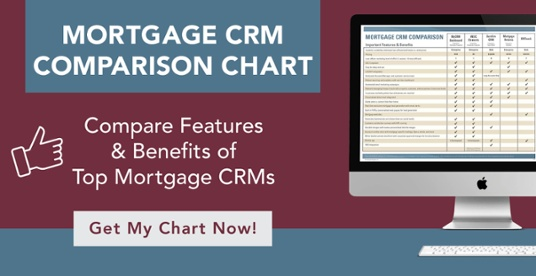 Which Mortgage CRM is Best For You?